The first settlers arrived in the 1880s and named the place for a rise which was thought to be a lookout point for Indians. A post office was granted in 1894 and a school district was organized two years later. Big Hill reached its peak in 1915 with a population of 100, but its proximity to Groesbeck drew off residents and a decline set in. The population was just 20 in the late1940s. 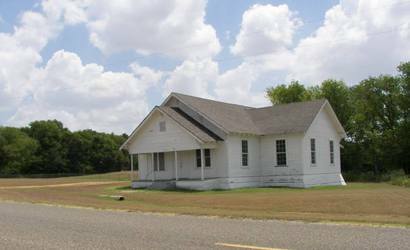 Big Hill's lone church disbanded and students were sent to Groesbeck schools. The cemetery and vacant church are all that is left today, although the population is still listed as 9.